Minister of Communication, Adebayo Shittu, has tasked the Federal Government to trace innovators of the defunct Biafra who are still alive for them to deploy their technological know-how towards the nation’s drive for industrialisation. 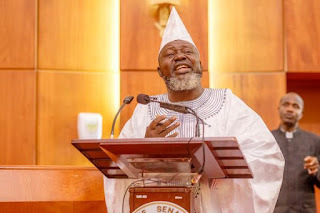 Shittu, who spoke at the commissioning of Technology Orientation Centre, built by the National Agency for Science and Engineering Infrastructure (NASENI), at Idu, Abuja, yesterday, urged the agency to go beyond the elite environment and trace these innovators, most of whom did not even have university education. He also lamented Nigeria’s over dependence on import even for its daily needs, and tasked the agency to do something urgently to close the gap. “I recall that during the civil war, we had so many innovators from Nnewi and other parts of eastern region then. So many people, who didn’t have university education, developed so many technological infrastructure in the East. But it looks like after the war, they were forgotten. 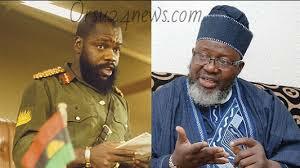 I think Nigeria should look for these great minds that may not have had university education but in terms of innovativeness, they sustained to a great deal the then Biafra Republic Army. “Again, there is need for us to start challenging ourselves. Number one, up till today, toothpicks are still imported; serviette papers are still being imported. Up till today, so many small things are still imported into Nigeria. It’s not enough for us to look for the big targets in terms of engineering infrastructure. I think we should not leave behind those small items that we need on daily basis. These are things that ordinarily if we have them produced locally, will be patronised by virtually every Nigerian. I will suggest that our immediate target like the President has always said, is that we should produce what we eat,” he stated. Also, Minister of Science and Technology, Dr. Ogbonnaya Onu said that the centre will help entrepreneurs, researchers and innovators gain greater access to the necessary processes that will fast track the commercialisation of inventions using local technologies. He added that it will complement the cardinal objective of the Presidential Executive Order No. 5 which seeks to promote self-reliance in the process of national rebirth through enhanced industrial capacity, especially in the areas of new and emerging technologies. Onu asserted that no nation had ever become truly great without science and technology expressed the optimism that the centre would play critical role in strengthening the nation’s onward march to a new dawn where science, technology and innovation will drive development efforts.